The ski resort of ‘La Plagne’ is one of the largest in Europe and is made up of 9 separate villages - some purpose built others century old Savoyarde villages. The ski domain is suitable for all levels of skiing and suitable for almost everyone wanting to experience a ‘disabled ski holiday’. Fantastic instructors and equipment for sit-skiing; amputee skiers; skiing for kids with Down’s Syndrome or Cerebral Palsy; amputee skiing and much more - even for those who have had a ski accident or have no physical disability but may have the onset of a degenerative disease. 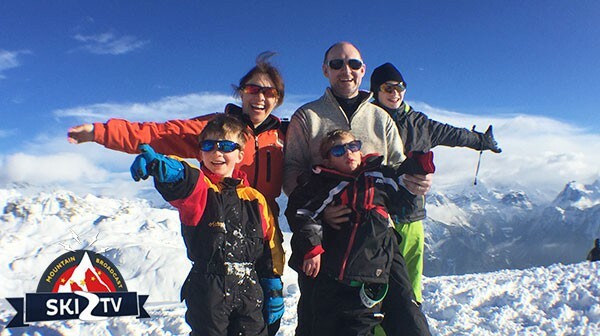 Whether you are looking to relax, recharge your batteries, get away from it all or do something wild... La Plagne offers a multitude of activities to keep everyone happy ….so many unforgettable memories to share with your family and friends even if you are not skiing! Which village you choose will depend on the needs and requirements of a child or adult but it is worth noting that some are better suited to wheelchair users than others. For example if you are a group with assistants then Plagne Centre might be a good choice. 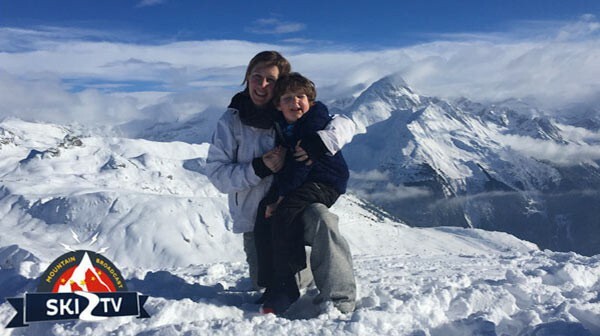 Belle Plagne is suitable but again it depends on an individual’s overall dependence on a wheelchair and probably better for people either skiing independently all day or a child in a small wheelchair. 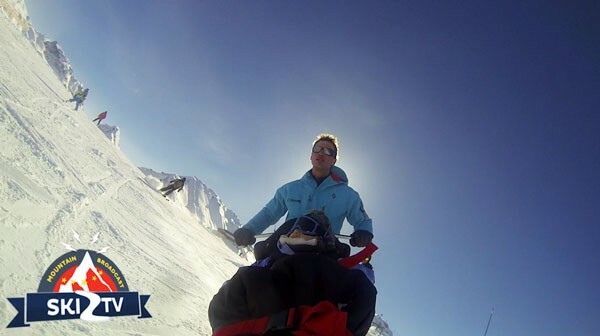 Just click on a village and have a closer look but Ski 2 Freedom is here to help so if in doubt just ask us! If you, a friend or family member have any of the following then La Plagne might work brilliantly for your ski or summer holiday. This is by no means an exhaustive list (it would be impossible to include every condition) but many have similar or common factors. As often someone may have a condition that we have not yet come across please do ask us if you are interested in the resort and we can try to help. La Plagne has a great selection of hotels, apartments and chalets suitable for all visitors. Accessible accommodation in La Plagne is also available for wheelchair users (dependent on type of wheelchair) and those with limited mobility. 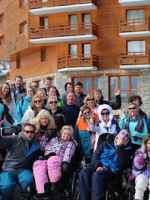 With 9 villages making up the La Plagne ski domaine there is an enormous choice of places to stay from great wheelchair accessible hotels to luxury apartments! We are delighted to share some with you but as there is a lot to choose from and it will come down to personal preferences and what your disability or needs are as to which you choose, please do contact us and we will be delighted to send you more information. The hotels and apartments listed here have been used by some of our beneficiaries or have been assessed by the Foundation and are supporting our work in bringing more people who need assistance or have a disability to ski or enjoy the summer activities in La Plagne. Do click on hotel or apartment/chalet to read more about it. For more information on mountain activities in La Plagne please contact us. 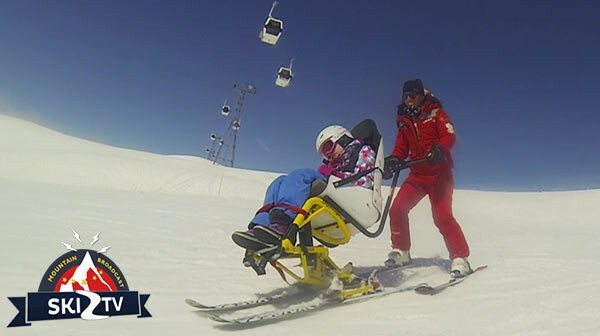 The ski school has offered skiing for disabilities and for those needing assistance since 1983. If you are physically disabled (tetraplegic, paraplegic, leg amputee, polio, cerebral palsy, or other illness), but you still have some strength in your arms, treat yourself to the pleasure of skiing, whether you are a child, a teenager, an adult, a beginner or an expert! To get a better idea and understanding of the ski resort of La Plagne and what else they can offer you for your holiday, we suggest you look up their website as every Tourist Office offers a fascinating and exciting insight into what they and the surrounding area can offer visitors. In addition many have a dedicated website or page for those who are in need of assistance, disabled, with young children and babies and those of us just getting on a bit in life! 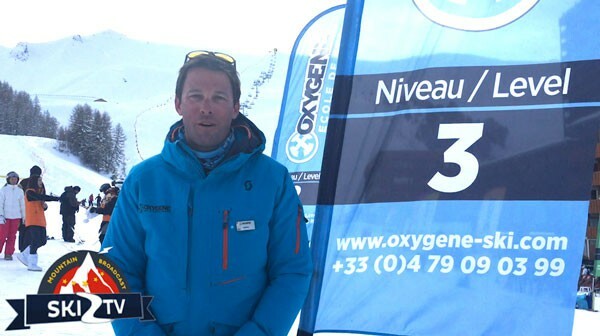 The tourist office in any ski resort is a really great source of information about the location and what is happening there! So much goes on with events, sporting activities etc. that it is difficult to keep up with all the amazing things to make your holiday, whether a disabled ski trip or a summer relaxation in the Vanoise mountains where access with a wheelchair can be somewhat easier! Many ski resorts offer reduced or discounted lift passes for someone with a disability or in need of assistance. For La Plagne the following apply. However we suggest you also contact the Lift Pass Office for further information as prices and conditions can change. A reduction of 50 % on the public price of a ski pass is offered on presentation of your disability card. 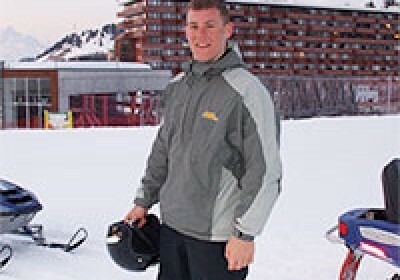 Sometimes a companion may receive a free lift pass but that can only be used when skiing, at all times, with the person who has the 50% reduction. Please contact the lift pass office direct as the UK do not have the same disability card as the French and you will need to send a photocopy of your Blue Card. Please ensure you also take this with you when you collect your life pass. For people with a learning or cognitive condition it may be possible to acquire a statement from the lift pass office which would enable your child or companion to use the Fast Track Lane at the lifts. All reduced lift passes are at the discretion of the Lift Pass Office - we would ask that you do not ask for a reduced pass if you do not meet their criteria. The cost of a lift pass is inclusive of all the work undertaken to ensure the slopes are safe; well groomed; the chair lifts work; the people are there to operate them along with many other aspects of what you would expect to be in place for your ski holiday. It is actually incredibly good value when one looks at it in detail. We suggest you email: GELLOZ Brigitte Brigitte.Gelloz@compagniedesalpes.fr with any enquiries about whether you are entitled to a lift pass. All the news, feedback articles and press releases illustrate how La Plagne helps to enhance people’s lives. 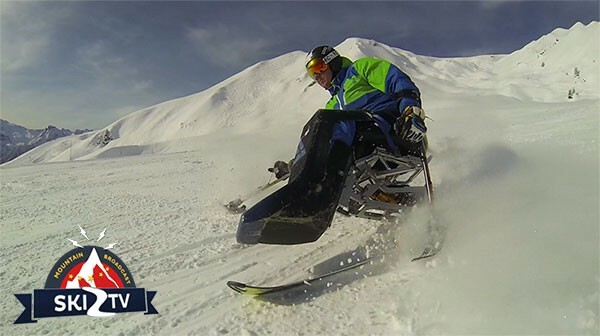 Also, in many cases, showing how Ski 2 Freedom works in close association with La Plagne to help raise awareness of the empowering benefits of mountain activities such as skiing and promoting accessible, social and inclusive tourism. If on reading our La Plagne page, you have your own experiences and feedback of the resort (winter or summer) that you would like to share or feel would be encouraging to others, please do not hesitate to send them to us for inclusion on both our website and social media – photos and film clips also welcome.